If you want to hire a face painter for your party, it can add great fun and create memories that will last a life time. There are some things to consider if you want to get the most value when you hire a face painter. 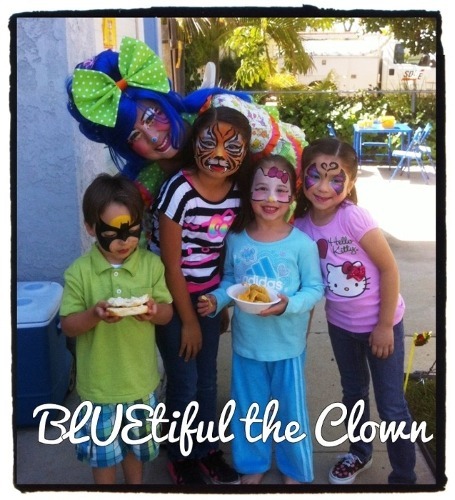 The following can help you to avoid some pitfalls and have a great face painting party! When booking a time for a face painter, it is best to have them arrive about two hours after your event has started. Most face painters charge hourly. Having the face painter show up a couple of hours after the event starts gives late guests an opportunity to be face painted. It’s unfortunate when the face painter has to leave to another scheduled event when guests are just arriving. Having the face painter arrive at a time when the guests are likely to be there will maximize the value you are getting by having a face painter at your event. Bounce houses, water games or high activity games that would cause children to sweat can smear a face painting. It is fun to have many activities available and some children will choose to do one and not the other. Encouraging the children who want to do both games and face painting to play first will help preserve their face painting. Eating before face painting is a good idea as well. Food on top of a face painting can reduce the beauty of a child’s face paint. Wiping the food off will likely wipe the paint off as well. Eating first and having baby wipes available for guests to wipe their children’s faces saves time when it’s the child’s turn to be face painted and gives the face painter a clean surface to paint on. Having a proper space set aside for the face painter also makes it easy for the face painter to set up when they arrive. When booking, ask the face painter if they will need a table and chairs or if they will be bringing their own. On a hot day, a shady spot will keep your guests and face painter cool while enjoying the face painting. A well lit area is also important if your event will take place at night. If there is loud music at the party, it is important that face painter is in an area where the guests and face painter can hear each other so the guests can relay their wants to the face painter. The better the location is set up for the face painter, the more they can focus on entertaining your guests with fabulous face painting. If you are hiring your face painter through an entertainment agency, consider that the paintings and pictures on the company website may not be from the face painter that will be at your party. If you want to know about the face painter who will be at your event, ask for pictures that show the entertainer and/or samples of their work. Face painting can be very entertaining to have at your special event. The pictures can bring treasured memories for years to come. If your event is in the San Diego area and would like to hire me to face paint for your event, please call me at (619) 518-4566 today!